Ever dreamed of grabbing a beer with a professor or fellow student after class at a convenient on-campus location? Although it’s not yet possible, seniors Mitchell Cutter and Spencer Mueller seek to make that dream a reality. As part of their larger vision of an on-campus bar, this Friday, Nov. 11, Cutter and Mueller in conjunction with WEB are holding a pub night in the basement of Reid Campus Center. The event, dubbed “Rathskeller” after the German word for pubs located in the basement (Keller) of a city hall (Rathaus), is designed to bring together 21-and-up members of the Whitman community with local wine, beer and live music. While Whitman’s current alcohol policy allows alcohol to be served at special on-campus events like the Rathskeller, what would it take for a regular campus bar to exist? How has Whitman’s alcohol policy changed through time? During the first week of November, the Student Life Governing Board, composed of trustees, overseers, a faculty liaison and two student representatives, met to review Whitman’s current alcohol policy. According to ASWC Senator for the class of 2018 AnnaMarie McCorvie, the review was not spurred by anything in particular but rather came up for reexamination because the last change to the policy was made over three decades ago, in 1981. While we may tend to think of Whitman’s policies as growing more liberal as society’s attitude toward alcohol in general becomes more relaxed, that has not necessarily been the case. “[Whitman’s alcohol policy] is surprisingly less lenient now, even though we think of ourselves as having a very lenient policy,” McCorvie said. “I met with a few of the trustees and overseers who went to school during this [policy], and one who was a faculty member during this…and he would go to these ASWC sponsored keggers with his wife… I can’t imagine it,” McCorvie said. The current policy prohibits drinking in common areas of residence halls, but allows students to drink in private spaces, such as dorm rooms. Enforcement of the policy is left up to the RA of each residence hall. 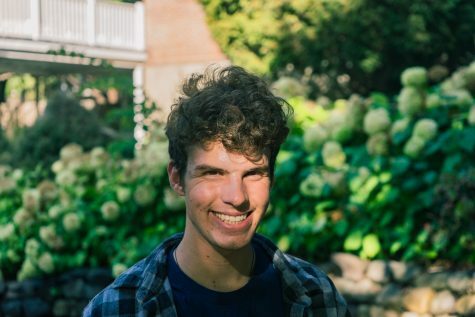 Student representative to the Student Life Governing Board Steve Aslin ‘18 explained that there is widespread agreement that this policy works well. “There’s definitely a consensus that the policy we have right now regarding alcohol…it’s been a very popular and really effective policy for the most part,” Aslin said. Statistics from the Health Center indicate that the number of overnight stays due to alcohol consumption have been relatively stable. Both administration and residence life work to promote alcohol education through informational posters and a lecture for first years on substance abuse. Rather than address the policy itself, the November meetings mainly discussed problems related to alcohol use. 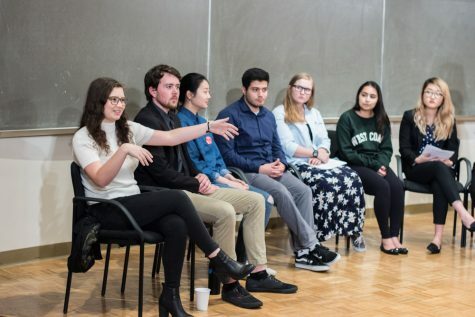 “The main sort of problem solving and problems that were brought up was [alcohol] addiction, and how we deal with addiction as a campus,” Aslin said. Solutions discussed included hiring a full time addiction counselor and finding ways to expand on-campus alcohol education to off-campus spaces. Currently, students with alcohol addiction are referred to the Counseling Center, while the Health Center provides critical care. Cutter and Mueller have been working on getting a bar in Reid since January of this year. The project initially sparked from a lack of communal space for upperclassmen. “First years and sophomores have their residence halls’ common spaces or the fraternity spaces to call ‘social gathering spaces.’ Upperclassmen have off-campus houses that are very segmented and fragmented and there’s no social space outside of the library that people could come and gather,” Mueller said. Originally, Cutter and Mueller had hoped that Whitman would purchase the old Bacon & Eggs location or the location across from the gym that is now a furniture store and turn that into something for upperclassmen, like a bar or cafe. However, when they found out that the administration was interested in renovating Reid, they took on the project of trying to make it more of a social center for campus. Last semester and over the summer they wrote three different documents, all expanding on the same central point that Reid campus center has the potential to be something different and better than what it is right now. Since then, Cutter and Mueller have met with Whitman staff in Reid, Memorial, Whitman finances and the Student Life Office. They have presented administration with short-term changes, changes that they would like to see in the next three years and long-term visions. According to Mueller, administration have taken on some of the changes and rejected others, but they share many of Cutter and Mueller’s long-term goals for what Reid Campus Center should be when it is renovated. “So, right now they are not committed…to complete a bar in Reid and definitely not in the time that either of us are here at Whitman. But what we have been working on and what we are hoping and what we have seen is that administrators are open to the idea of thinking about it and potentially trying it, when or if this building is renovated,” said Mueller. Cutter added that change happens slowly at Whitman, even just getting a foosball table for the basement of Reid proved difficult. 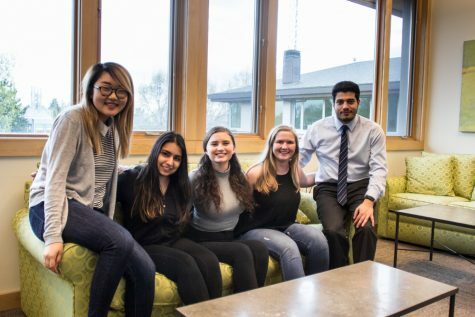 While Whitman administration has been supportive for the most part, getting permission and then enacting that change takes time. “The question of serving alcohol in Reid and of the college serving alcohol at all to students is a big strategic question that the college has to consider for a lengthier period of time than we are hoping for,” Cutter said. The project would not require a change in Whitman’s contract with Bon Appetite. Bon Appetite would apply for a liquor license within Reid so that they would be able to commercially serve alcohol to anyone who is over the age of 21. Bon Appetite already serves alcohol at campus locations at other schools, including the University of Portland and Kenyon College. In terms of the alcohol policy at Whitman, there is a difference between what the Washington State Liquor Control Board’s laws and what Whitman College’s rules are. According to Cutter, however, their primary focus is not the alcohol policy. “Yes, we would like to serve wine and beer in Reid, but that is not the primary purpose of this movement. We are trying to change Reid into a space where people actually want to hang out. And that comes down to, yes, alcohol, but also to seating, to lighting, to atmosphere, to trying to get a damn foosball table down [in Reid],” Cutter said. Many could argue that building a bar in Reid should not be a topic of concern that Whitman has many other, more important issues to tackle first. “One argument that I’ve had to grapple with is why am I spending my efforts trying to renovate a building when we lack diversity, when there are sexual assaults weekly on this campus. And it’s a hard question. Because building a foosball table doesn’t prevent someone from being assaulted,” Mueller said. Mueller recognizes that an on-campus bar may seem unrelated to the solving more urgent problems, but he emphasizes that this project has the potential to bring a lot of unexpected good to the Whitman community.